At some point in my childhood, I became aware that I had two catastrophe fears — quicksand and tidal waves — and that I had no clue where those fears originated. Could it have been that time the neighborhood kids all helped fill sandbags near our apartment in Seal Beach, California as a storm was threatening to flood the old town area? Is that what caused me to imagine the many scenarios where a giant wave had crashed over the town and I was floating down Main Street on my bunk bed boat? Certainly the silly, unrealistic scenes on Gilligan's Island where someone was sinking into a quicksand puddle weren't scary enough to cause my worry and fear of quicksand, were they? 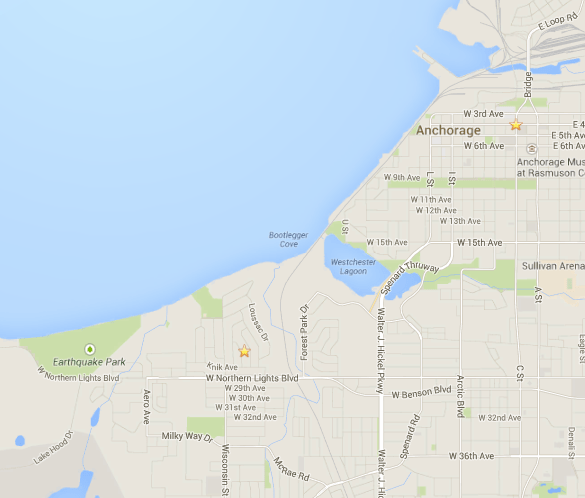 I was born in Alaska and we lived in Anchorange until I was 5 years old. Once, a few years back while I was working on this portrait project with my brother in Girdwood, Alaska, as we were driving the stretch of road along the Turnagain Arm of the Cook Inlet between Anchorage and Girdwood, someone in the car told a crazy story about a woman who had gone out onto the mudflats at low tide and gotten stuck, and as she was being rescued by helicopter, it pulled her too hard from the quicksand (or she was just fatally stuck) and her body was actually torn in half! This story sounded strangely familiar to me (but also as horrifying as if I'd just heard it for the first time). Many have heard the story of the duck hunter who was stuck in the mud on either Knik or Turnagain arm, in the 1960s or 1970s, depending on who tells it, and was pulled in half by a helicopter, leaving the lower half of his body in the mud. Some locals remember the incident vividly. There is no evidence it ever happened, but the story has become an Alaska legend. I'm sure as a kid I'd heard these stories told many times by the adults around me…the stories about real people who got stuck in the mud and glacial silt in the Turnagain Arm at low tide, and then were either rescued successfully, or who remained stuck and hypothermic and drowned as the tide came in over them. 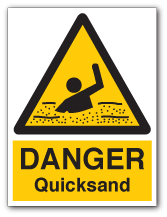 I realized at that point when and where my fear of quicksand had been programmed. It was in Alaska, before I was 5. I'd also probably overheard many stories about the Great Alaskan Earthquake. 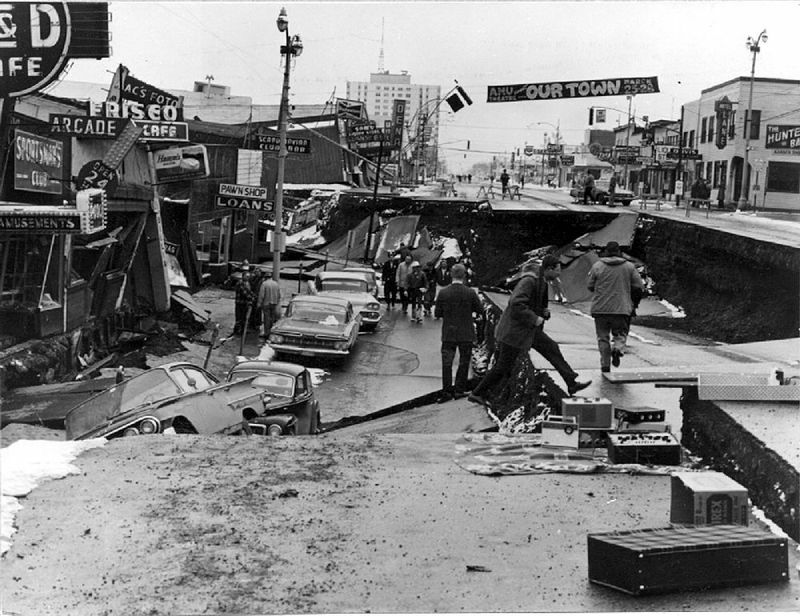 This 9.2 earthquake — you know, the most powerful recorded earthquake in North American history…the one that caused TSUNAMIS and SOIL LIQUIFICATION??!! – happened only three years before I was born. I soon also knew when and where my childhood fear of tidal waves had been instilled — in Alaska, before I was 5. It's interesting to me how much the topics of quicksand and tidal waves were part of my thoughts and imagination as a kid in California from age 5 on, when the experiences that programmed those thoughts predated most of my conscious memory. 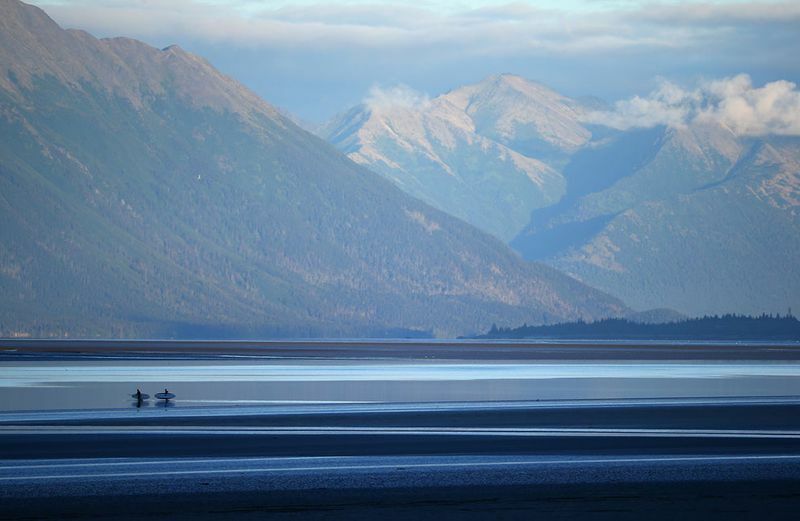 This morning I came across a photo portfolio by Getty Images photographer Streeter Lecka who recently spent six days out on Turnagain Arm photographing the folks who venture out onto the mudflats to ride the waves of the tidal bore. The waves can be as high as 10 feet tall (though only around a full moon, normally they're small). This is a beautiful series and I think you should check it out. Click here for the full photo essay. I hope none of them get stuck and drown. Next Post My Mom Flew the Plane!